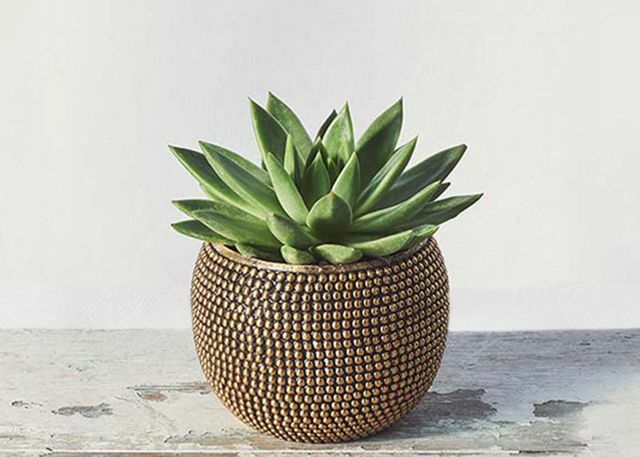 Layers of smooth and glossy succulent petals are nestled in a boho-chic golden, beaded pot. This cool offering is the ultimate mix of color and texture. 5"-6" succulent in 6½" x 5" beaded vase. Total height: 7"